I often also have my keys, my wallet (like this one, only black and with two zip pockets), and other assorted things, but those are in my backpack today. Nope. Nothing. Thats what bags are for. I rarely have anything in my jeans pockets but in my sweatshirt kangaroo pocket are my wallet, cell phone and keys. Only problem with putting them there is that I forget where they are and spend HOURS searching for them. Like looking for glasses perched on my head! do coat pockets count? car keys and gloves (was cold this morning). My phone was there before I put in on my desk.I tend to not put things in my pocket…see earlier post about someone with no hips…which does not describe me. Most everything is in my purse or the life support system as DH says. I love purses. I also love pcokets. No skirt pocket today. In my coat pocket was a a list of supplies my dad gave me last spring to fix the Duncan Phife chair I bought for $10 in an antigue store, a Publix reciept, and and empty candy wrapper. Nothing – love pockets but never put anything in them cos it ruins the line. Pockets can look quite pretty (like the loop shaped ones on the first picture in this post), but should never never be used for holding anything heavier than a kleenex. As a few other commenters have pointed out, carrying your days requirements in pockets spoils the line of the outfit. Use a bag or purse! Earlier:receipt from the thrift (had to return pants that didnt fit)cell phone used for miscellaneous calls to the men in the family, none of whom would answer promptly. And a call from the daughter who got the highest grade in her college biology test. YAY!lipstick in Wine on Ice. Putting things in my pockets may ruin my line, but so does walking and sitting. Im willing to sacrifice my line for these things. Im wearing a skirt with one big interior right hip pocket, and a fleece pullover with a kangaroo pocket. I had my wallet, my iPod Touch (only in the fleece pocket, and only when I needed to use both hands to fix the copier), my watch (I usually put it on as I walk to work), and an ATM receipt in there at various times. I usually have a handkerchief, but left it at home today for some reason. Gratuitous pockets? Isnt that an oxymoron? When patterns call for pockets, I skip that step. 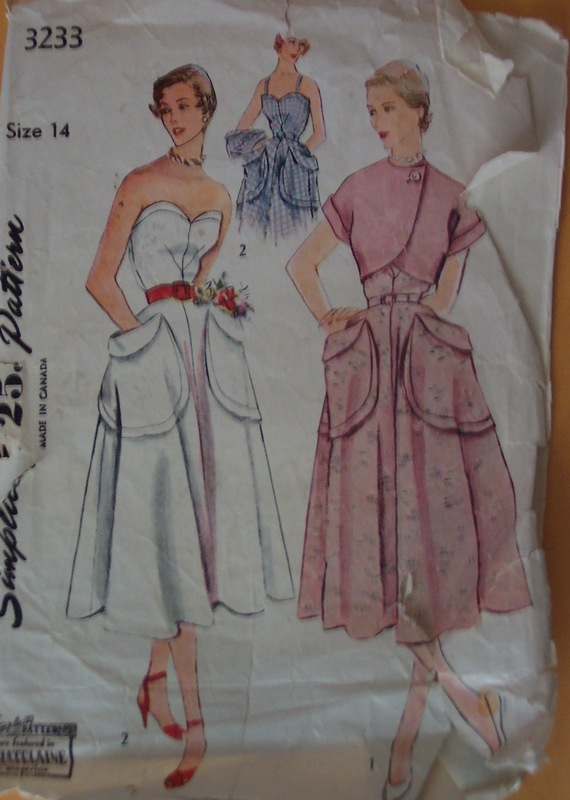 But, if I had the pockets in that second pattern I would probably keep a lap dog in each one. a bit of change, and tube of Blistex or gloss, everything else I dont normally need during the dayis in a bag. I would put lipstick in my pocket, but I havent mastered putting it on well without a mirror. I usually dont put much in pockets – dont need the added bulk!Erin – does the more frequent postings the last week or so meant youre getting settled in from the move/company startup/etc ??? I love pockets! Especially those tiny little penny pockets on a bodice. Okay not useful but so cute! PPPS: Rouge Passion by Max Factor — available at drug stores — is a good, classic red, with a navy undertone. PPPS: For a very etched, defined look with your Rouge Passion, lightly outline lips with MAC Beet, then trace the tiniest bit of their Burgundy on top of that when youre all done. Dont forget the very inner corners of your mouth. Lipstick can easily bleed outward from there, but not pencil. PPPPPPPPS: The bigger the lips, the bigger the tips. Oh, Cookie. I dont have much call to use these make-up ideas since I spend most of my time in KOA campgrounds, but its nice to know that if I have occasion to go out where people might see me I now know exactly how to do my lips. And get tips. Very good info to have! In my hoodie after getting the kids from school- One oak leaf, one tiny maple leaf, my glasses case, one shiny penny, two large woodchips, one smooth rock and one perfect acorn cap. Why yes, I have a small naturalist with me, who hands me stuff and says can you put this in your pocket for me? even though he had four of his own pockets… just makes me check pockets extra well before laundering! Cookie.I have been desperately seeking the right color of red lipstick. I am quite sure once I find it I can take over the world. AND thanks to the makeup tips…7 of us are going as the 7 Deadly sins and want to do elaborate makeup. I wish I had a drag queen friend here to do it for me. sigh. In my jeans: A hankie (as always) in my right pocket, and my ipod (slightly unusual and indicating that I realized I could make a boring afternoon at work much much better with the application of music) in my left.In my coat: My keys and another hankie in the right pocket, a roll of doggie bags and an old receipt in the left.Everything else important lives in my purse and is either too bulky for my pockets or something I dont ever want to have to search through last weeks pockets for. What aa beautifully designed sundress! Wont you make it, please? If you have allergies, you know that pockets are for tissues. 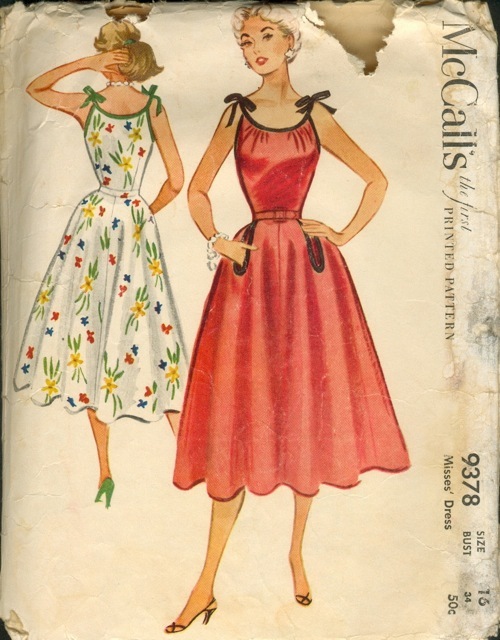 Cookie, if you pop back in……….I finally got that other 4 Yard Line Pattern listed on the website….its Butterick 2168. I dont have much call to use these make-up ideas since I spend most of my time in KOA campgrounds Quitter! This is what you can do to meet lipstick halfway: Put some Vaseline or an oily lipbalm on your lips, then dot some lipstick on top. (Not as much as you would use on dry lips.) Smooth it around together, and you will end up with a nice, transparent stain. And since it will be sheer, it will not look awful if it moves around outside your lipline at some point. And while youre at it, you can groom your eyebrows by rubbing a very small amount of Vaseline over them, then brushing them into place with an old, soft toothbrush. This can encourage eyebrow growth over time, though, so pluck them into shape beforehand if you dont want heavier brows.Makeup artist Bobbie Brown says the most invaluable lipstick to have for everyday is one that matches your own lip color as closely as possible (it will naturally harmonize with the rest of your coloring), so try experimenting with one like that, in addition to reds and burgundies, etc. (You can also pick out good eyeshadow colors by looking at the colors that already exist in your eyelids and under-eye area. )Lets go! Cookie, thanks for the tips. Im allergic to most makeup but I can use Vaseline. Well, I have pockets and I have keys and lip balm. Some combination of the above at all times. Meaning, I never know which pocket has what until Ive search them all. I am a sucker for a dress with pockets. Theyre just so much more comfortable. =) Fun blog. Cheers! I love pockets! Every blazer jacket, skirt, dress, and pants I have has pockets; deep pockets. I keep a small wallet with all the things I need plus my keys. I wear overalls alot and they have lots of pockets. Oh I always have pockets for my hands, I always have my hands in my pockets!